The Vanox® system HWC is a mobile platform engineered for preparing a UF module for service in a few days, as opposed to a few weeks, which is normally required. 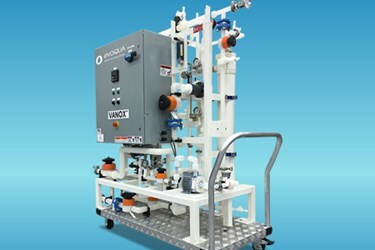 The hot water conditioning allows the module pores to cycle, shedding TOCs and particles inherent to the manufacture of the UF from the resins. This provides suitable prepping for more immediate service.